How long do they last? Breast implants can last many, many years and the current revision rate is about 20% every 10 years. The revisions are typically done because women want to go either larger or smaller with the implants or they would like a lift with replacement of the older implants for new ones simultaneously. Are the implants placed over or under the muscles? This depends upon the athleticism of the patient. For those women who routinely engage the chest muscles for exercise or if they do not want their implants to shift with flexion of the chest muscles, then over the muscle is a good option. If women are looking for a more natural look and don’t mind a slight shifting of the implants with exercise then going under the muscle is a great option. Are the breast implants smooth or textured? Dr. Schreiber only uses smooth breast implants. With years of experience using these types of breast implants, he has achieved amazing results in hundreds of women and fully supports the use of smooth silicone gel breast implants. When can I start working out again? Typically, Dr. Schreiber recommends waiting 1 week before resuming light cardio exercise and 6 weeks for heavy weightlifting. How do I determine which size to get? When it comes to picking out your breast implants, Dr. Schreiber listens to what his patients want and spends a lot of time making sure his patients are satisfied with the size before surgery. Therefore, he encourages his patients to bring in photos of breasts that his patients like and he provides ample time for women to “try on” breast implants by putting breast implant samples inside their bras to get a 3D look and feel for that their breasts will look like after surgery. It’s important to remember that every patient is unique and not every answer to these questions is the same for everyone. This is why Dr. Schreiber spends a lot of time with his breast augmentation patients to ensure that all of their questions are answered to the best of his ability. Breast augmentation is a fantastic procedure and it’s one of Dr. Schreiber’s most common operations to perform. So, if you want to get the breast size that you’ve always wanted to if you want to restore lost volume to your breasts, call (410) 205-1846 for a consultation or simply click the Schedule and Appointment tab at the top of this page and a staff member will contact you very soon to schedule your consultation! miraDry is the only FDA-cleared treatment that can dramatically reduce underarm sweat, odor & hair in as little as one treatment! Dr. Schreiber is thrilled to offer these wonderful specials and he is more than happy to discuss them with you in person. Call (410) 205-1846 for an appointment today or click here to request an appointment online. Enjoy the beautiful new season! Recently, data was released comparing Ideal breast implants with silicone gel breast implants. Dr. Jeffrey Schreiber, a breast augmentation expert in Baltimore, is happy to share with you the fact that Ideal breast implants offer several advantages over silicone gel breast implants. For example, the capsular contracture (hard scarring) and rupture risks are lower in the Ideal breast implants. Even more, the Ideal breast implants are not associated with the silent rupture that can occur with silicone gel breast implants. Warranties for rupture and capsular contracture are offered for both of the implants, however. Maryland breast implant patients should know that Ideal breast implants are fantastic, but not for everyone. Silicone gel breast implants are still FDA approved and they do provide a natural look and feel to the breasts after augmentation. Those women with a wider breast or those looking for very large implants (800cc) can still achieve great aesthetic results with silicone gel breast implants. Every patient is unique, and Dr. Schreiber takes this into account during your breast augmentation consultation in his Baltimore, Maryland office. Whether you choose Ideal breast implants or silicone, know that the procedure takes only about 1-2 hours with only a few days of recovery. Many of Dr. Schreiber’s patients return to work after a few days and only take non-narcotic pain medications after surgery. Dr. Schreiber even allows his patients to shower the very next day since he uses a waterproof dressing after the procedure. To book a breast augmentation Baltimore women are encouraged to call (410) 205-1846 or click here to request an appointment online. Lipo360 is the newest trend in Baltimore liposuction procedures. Traditional liposuction only focused on 1-3 areas, but Lipo360 concentrates on sculpting a patient in a 360 degree contour to get the best results possible from liposuction. Dr. Jeff Schreiber at the Baltimore Plastic and Cosmetic Surgery Center is a liposuction expert and his main focus is to provide his patients with the best possible liposuction results safely. How do I get Lipo360? First, start by calling Dr. Schreiber’s office to set up a consultation. Then, during your consultation Dr. Schreiber will listen very carefully to your aesthetic desires and perform a thorough evaluation. Next, he will review your photos and those of others who have had liposuction to make the best recommendations for you. Once you have chosen a surgery date, Dr. Schreiber and his nurse will see you again to review the procedure, give you a prescription for an antibiotic and a mild pain medicine, and he even gives his cosmetic surgery patients his cell phone number so you can contact him anytime before or after surgery. Lipo360 can be done as an outpatient or as a 23 hour stay for those patients who desire a more robust result. During your Lipo360 procedure, Dr. Schreiber will place medicine under the skin to numb the areas and to prevent a lot of bruising. Then, he will perform the liposuction procedure to remove as much fat as possible safely. At the end of the surgery, a compression garment will be placed to mold the skin over your new and improved look. Recovery can take as little as a few days or up to a week depending upon how much liposuction was done. Dr. Schreiber typically allows light cardio exercise to resume at 2 weeks followed by heavy weights at 6 weeks. 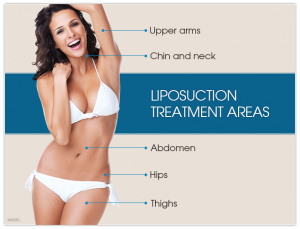 All in all, Lipo360 is an amazing way to sculpt your body in a 360 degree fashion with the best liposuction techniques available. Talk to Dr. Schreiber about your aesthetic goals by making an appointment. You can fill out an Appointment request by clicking here or call (410) 205-1846 at your convenience. VASER stands for Vibration Amplification of Sound Energy at Resonance – VASER procedures use ultrasound to break down the fat cells. This method ensures that only fat cells are broken down meaning, less tissue damage, discomfort, and downtime compared to traditional liposuction. Vaser liposuction is less traumatic on the body, allowing the body to heal quicker, show faster results, and get your back to your everyday activities within three to five days. Traditionally liposuction removes bulk fat; VASER was developed for ‘precision sculpting’. This allows for the removal of both fat layers and ultimately reveals the underlying muscles more distinctly. VASER techniques can create chiseled abs and obliques. With VASER Lipo once the fatty tissue is removed, the skin actually retracts, resulting in a smoother and tighter appearance. The procedure requires a small incision, and the scar is barely noticeable. It is crucial to adopt and maintain a healthy lifestyle before addressing the stubborn fat in your trouble areas. If you have recently lost weight or are still in the process, a good rule of thumb is to make sure you can maintain that weight for a few months and then consider refining and reshaping with Lipo. 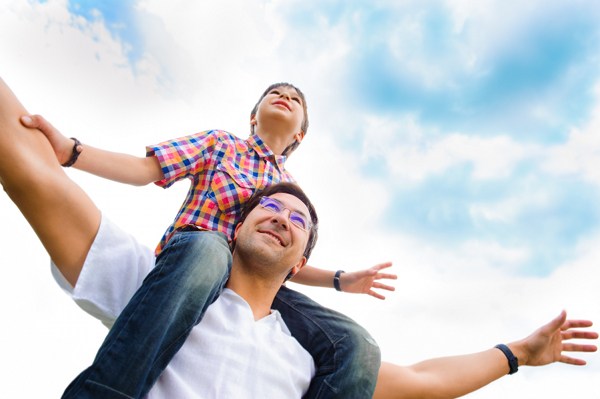 The best way to determine if you are a good candidate for VASER is to schedule a one-on-one consultation. Dr. Jeffrey Schreiber is a renowned, board-certified plastic surgeon based in Baltimore who offers customized procedures to his patients. Both his patients and peers have elected him as a Top Doctor in Baltimore for the last eight years. 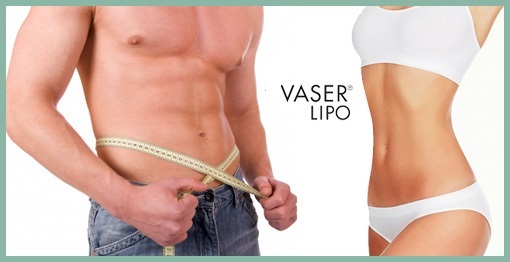 Please call 410-902-9800 to schedule a consultation for your VASER liposuction procedure. Motherhood is a blessing, but many women find it hard to get their pre-pregnancy bodies back without some help from in the form of plastic surgery in Baltimore, even if they exercise and eat right. A mommy makeover may be just what you’re looking for if there are specific trouble spots that you want to correct. A tummy tuck is one of the most common requests of a plastic surgeon in Baltimore who performs mommy makeovers. During the procedure, your surgeon removes and tightens excess loose skin and muscle tissue that cannot be addressed by simple diet and exercise, leaving you with a slimmer, more toned appearance. Similarly, breast enhancement procedures including breast lifts, breast implants, and breast reduction can be part of a mommy makeover for women who have noticed a significant change in the size, position, and shape of their breasts after pregnancy and breastfeeding. Some new mothers have noticed sagging breasts and opt for lifts while others want more volume and choose implants. New mothers who lead active lifestyles and have noticed an increase in the size of their breasts that interferes with their favorite activities can also choose to have breast reduction surgery. Liposuction is another common procedure for women seeking a mommy makeover in Baltimore. Often used in conjunction with a tummy tuck, liposuction helps to remove excess fat deposits that a regimen of diet and exercise fails to correct. Women who find it impossible to completely get rid of a belly pooch or love handles after pregnancy often turn to liposuction. The best way to get the most out of your mommy makeover is to carefully decide which procedures are best for you and which ones you can afford to skip. There is a lot to consider, but a visit with your plastic surgeon for a consultation can make it a lot easier and help you identify what problem areas you really want to address. For more information on mommy makeovers or other cosmetic procedures, do not hesitate to reach out to Dr. Jeffrey Schreiber, who is certified by the American Board of Plastic Surgery. Our friendly staff will happily answer any questions or schedule a consultation. Call (410) 205-1846 today. 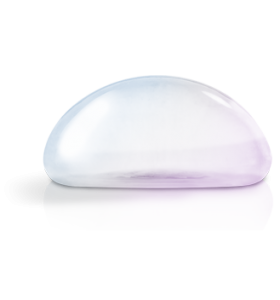 Introducing the NEW Mentor Xtra Smooth MemoryGel breast implants! Maryland breast augmentation expert, Dr. Jeffrey Schreiber, is pleased to announce the arrival of a new breast implant! Leading breast implant manufacturer, Mentor, is now making a new breast implant filled with a smoother form of their existing silicone gel. The implants are also filled with more silicone to add to the softness of the implant while maintaining a beautiful shape. The implants are known as the Xtra Smooth implants and they are available in a moderate plus and high profile shape. The sizes range from about 100-800cc with many different options to choose from. If you’re looking for the best Maryland breast surgeon, look no further than Dr. Schreiber! During your consultation, he will first listen to find out what your aesthetic goals are for your breasts and he will carefully review your medical history. He will then determine what type of breast implant is best for your as the consultation progresses. If the new Xtra Smooth implants are right for you, he will tell you right then and recommend a size and profile as well. For the best Baltimore breast augmentation experience, Dr. Schreiber is there every step of the way. The procedure takes only about 90 minutes with only a few days of recovery. Exercise can usually begin in about 1-2 weeks, and Dr. Schreiber even uses waterproof dressings so you can shower the next day after surgery! Interested in looking at some breast augmentation before and after photos? Click here ! If you’d like to make a breast augmentation appointment, click here or call (410) 205-1846 and start shopping for that perfect bikini for the summer!